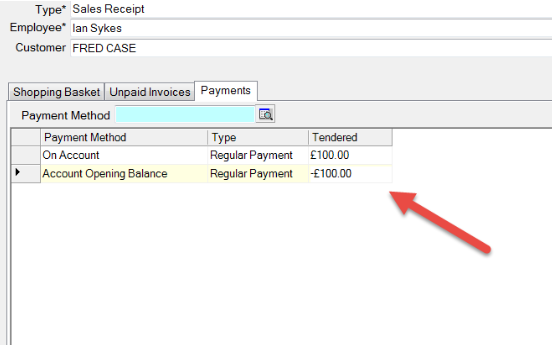 First, create a new payment method in Data / Payment Methods called ‘Account Opening Balance’ or similar. Call up the customer in question. Go to the Payments tab of the invoice and choose On Account. 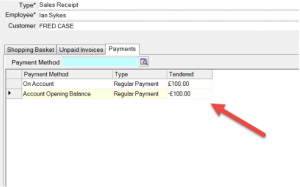 Then choose the Account Opening Balance payment method to balance the invoice. This will leave the customer owing you $100 in this example. How do I link EVE Agent to my MailChimp account?